Front row, 3rd from left: Pat Hargreaves Baars. [stamp] Howard M. Patrick, photography. Rt.1, Box 356, Oswego, Ore. Phone Oswego 5891. Description B & W scan of a sepia photo. This is the same as photo 2247. 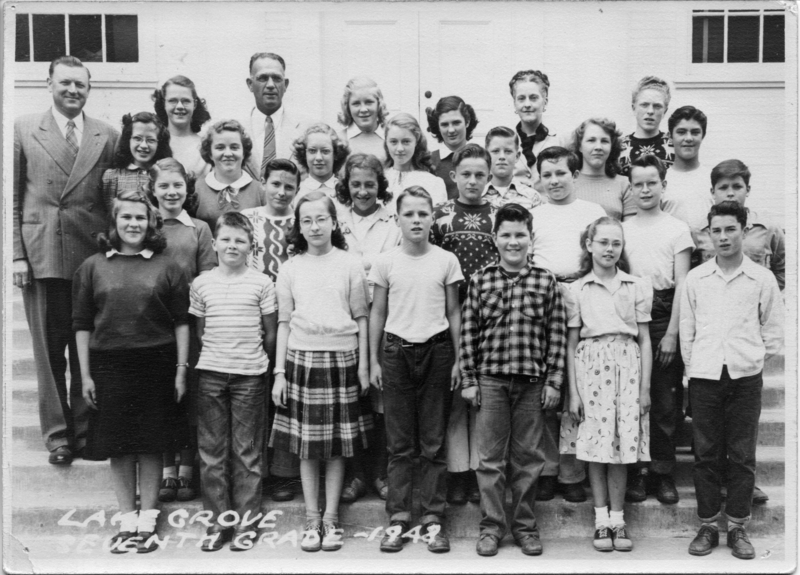 On front: Lake Grove, seventh grade, 1948. Transcription Front row, 3rd from left: Pat Hargreaves Baars. [stamp] Howard M. Patrick, photography. Rt.1, Box 356, Oswego, Ore. Phone Oswego 5891.